Learning Mech-Q is very easy. 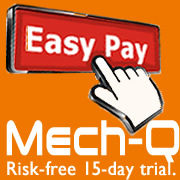 Mech-Q is organized for you to make you faster and more proficient the moment you start using it. No special or expensive training course is required. 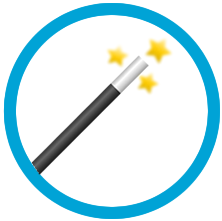 Compare this to other softwares who sometimes required lots of time to become proficient at using their software. Mech-Q combines an dialog interface each with with fittings, parts and sizes that can be configured by selecting drop downs and buttons. We also provide you with lots of video examples and drawing tips to get you started. 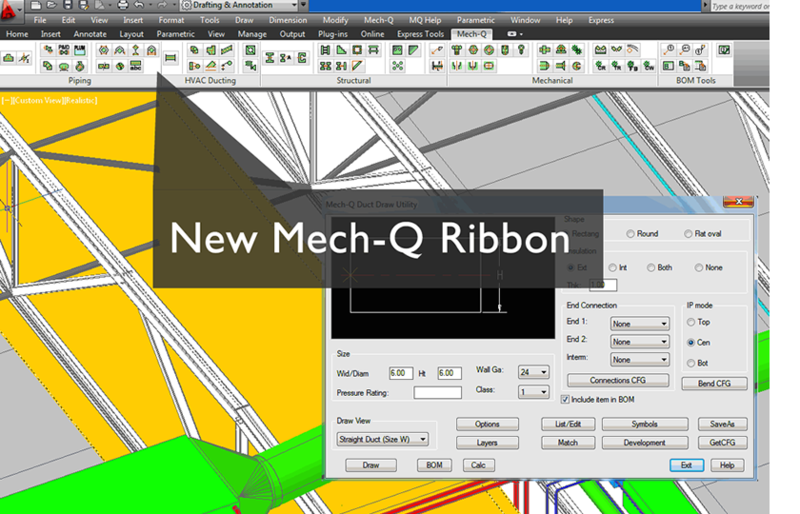 Some basic CAD background is recommended, but even if your new to CAD, the Mech-Q tools will make up on lost time learning to be productive with CAD. If you are new to CAD be sure to ask us about our 6 day course on how to get started with basic commands. We even have other video courses on Piping and Structural drawing accessible though our video learning page.